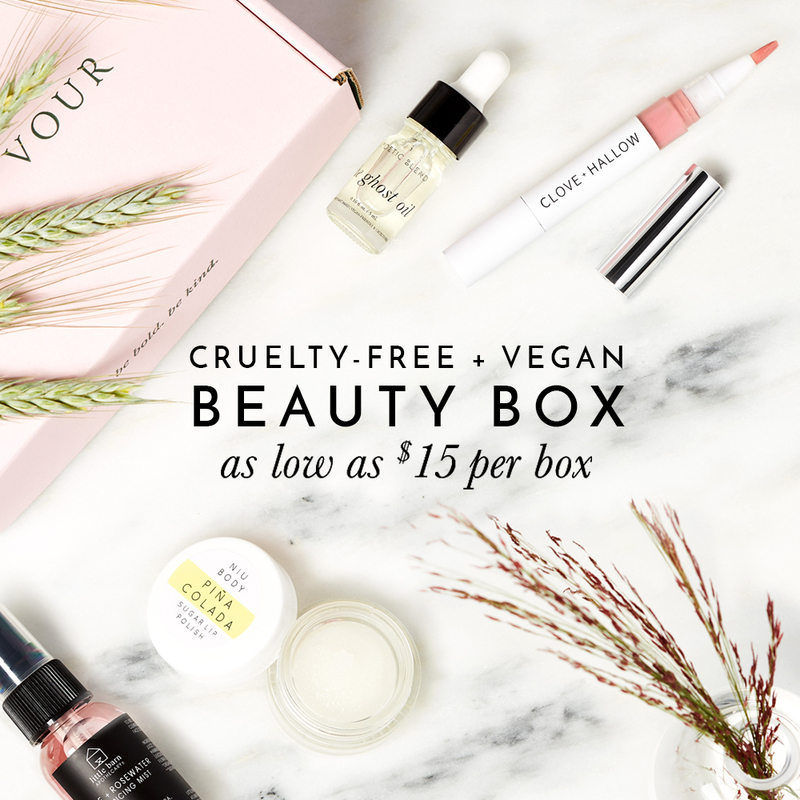 A complete and updated list of 100% Vegan beauty brands! What does it mean to be on this list? First, companies must agree to never test their products or ingredients on animals and also, brands included on this list must only offer vegan products! which means absolutely no animal ingredients or derivatives are used —in any of their products! None of that, “all our products are vegan– with the exception of our animal hair makeup brushes” or “only a small number of our products contain carmine, lanolin, beeswax” bullsh*t! Nope, none of that here! Why support these vegan brands? If given the option, I’d rather buy from a company that is 100% vegan over a brand that says “90% of our products are vegan” for two simple reasons, (1) My support proves that consumers care and see value in a vegan brand and (2) it proves to the rest of the world that running a 100% vegan company is totally sustainable and profitable! I often praise other beauty brands for offering a list of vegan products but the brands on this list are all 100% vegan and intend to always be vegan! I hope with this list, you’ll get to discover from all the awesome and growing vegan makeup and beauty brands! Hai..may i know is Tarte skincare & make up & the marajuca oil 100% vegan?? Coz their products not in the list..tq in advance? Heya Erin! Only some of Tarte products are considered vegan. Since not all of Tarte products are vegan, I’m unable to include them to this list. Hi, which vegan brands are from Malaysia, Thailand, thank you Vicky! I know Arbonne is 100% vegan and is available in Malaysia! Hey, great list thank you so much for making it ! I was just wondering if any of the brands listed here are owned by parent companies that are not vegan or cruelty-free ? This is exactly what I was looking for! This is an amazing list. Im trying to stay away from those bad parent companies too! I was also curious if this was an all natural list, or of you had a list like this that was 100% vegan and all natural? Is there a reason why Little Ondine isn’t on it? I was through there FAQ I found your website (since they referred to your guide on China’s Animal Testing Laws). Hi Vicky, what was the outcome of this? Are morphe eyeshadow palettes vegan ? Sadly No, most of their eyeshadow palettes contain lanolin and therefore are not vegan. I thought ELF and L.A. colors were vegan brands? some of ELF’s old makeup brushes that are still available in stores uses animal hair and I haven’t received confirmation on whether their new skincare products are vegan. I also haven’t received any information about whether LA Colors products are vegan. I know that the brand is certified cruelty-free by PETA but they don’t have them listed as being a Vegan Company. Also, why is LimeCrime not on this list? I’ve done extensive research on them and spoken to them numerous times (I did my senior project on them) and they meet all of the criteria and beyond. And if any of these brands sell in stores in Mainland China then I wouldn’t consider them to be cruelty-free or vegan. So none of these vegan brands are selling in countries that require animal testing! I just received confirmation from Manic Panic and you don’t have to worry, all of their hair dyes are vegan! But unfortunately I can’t add them to this list because some of the other products they carry are not vegan like their lipsticks and other makeup products!